Ayurveda, the science of life defines health, a state of equilibrium of regulatory and functional entities of body, structural entities, excretory entities and digestive and metabolic factors along with healthy state of sensory and motor organ and mind. Nowadays a wave of new disorders is spreading fast across the globe. Most of these are caused mainly due to rapid urbanization, sedentary life style with faulty dietary habits and little physical exercise. Our diet is an essential factor for the formation of our body. It is clearly mentioned in Ayurvedic texts that consuming improper diet in improper way is the main cause of 'Disease'. An appropriate and suitable diet in a disease is equivalent to hundred drugs and any quantity of drug hardly compares to good results in disease without following proper dietetic regimen.
" When diet is wrong medicine is of no use. When diet is correct medicine is of no need." Ayurvedic classics have mentioned principles for living full span of life with perfect health. Diet should be regulated taking into account the 'Desha'(territory), 'Kala' (Season as well as time of the day) etc. One should be in a habit of taking all six tastes in order to prevent various disorders. Ayurveda explains the role of food in maintenance of health. Fundamental principle of natural maintenance of good health was expressed by Vagbhatt as – Hitbhuka, Mitbhuka, Ritbhuka. Hitbhuk: which means eat that much which provides nourishment to your health and do not eat merely for taste. Mitbhuk: which means eat only that much which is essential for sustenance of the vitality and stamina of the body. Ritbhuk: means eat that which is earned and prepared by righteous means and also what is suitable in a particular season. Broadly speaking, the above principles are not new to us. We all have read or heard about these in one form or the other. But how many people including ourselves really pay attention to these? In view of the life-style adopted by most of us today and considering the growing pollution in the gross and the subtle environment, we ought to be more careful about healthy food. How we eat our food is even more important than what you eat. Even foods, which normally cause greater trouble will be digested reasonably well if the proper rules are followed. Likewise, if we eat the correct foods in the wrong way, our digestion will be compromised and indigestion with the formation of toxins will follow. If we follow these food habits and choose the correct food then our digestion will be maximized and we will experience optimal digestion. • Wait for the signs of true hunger. • Eat the same time every day. The stomach likes to be on schedule. • A simple glass of warm water twenty-thirty minutes before a meal can improve digestive function. • Relax while eating and for fifteen minutes afterwards. • Eat simple food combinations. • Avoid cold drinks or food. • Completely chew and mix food with saliva. • Fill 1/3 part of stomach with food, 1/3 with water, and 1/3 empty. • Eat a simple breakfast, a hearty lunch, and a gentle dinner. • Food habits & eating schedules should be regular. Eating should be slow, peaceful & with complete concentration on your food only. 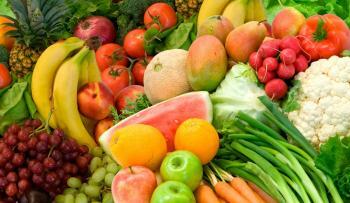 • Diet should be balanced with comprising of all tastes and ingredients. No foodstuff should be consumed in excessive quantity. • Diet should not consist of extreme hot or cold food. • Drink sufficient water while eating. This helps digestion process. Every person needs a different quantity of water intake, based on his constitution work nature and climatic conditions. Drinking too much and too less of water is harmful. • Milk with salt or milk with sour food or milk with fruit is a poisonous combination, hence it should be strictly avoided . • Salt should be consumed in a very limited proportion. • Sprouts & green vegetables should be included in week diets. • Not to eat stale food. • To consume at least 2 table spoon cow ghee everyday. • To exercise one hour daily. Practise meditation, yoga & pranayam regularly to keep yourself happy & cheerful. • Sleeping during the day & staying away awake till late night should be avoided. • To have fast at least once in a week with foods lighter to digest. • Always eat less than the appetite for complete digestion. • There should be a minimum of 4 hours gap between two meals, not to be on fast for more than 8 hours during the day. • Eat less in subsequent meals if the previous meals are heavy. • Avoid watching television programs or reading material during meal.